On October 24th and 25th, the Barilla World Championship took place in Milan: an international culinary competition where 18 chefs under 35, from 17 different countries participated in the tournament, now at its 7th edition. With the theme “Eat Positive”, the Championship offered a unique insight into the importance of pasta in a healthy diet, with live cooking demonstrations, tastings and conferences on the importance of beauty in food, wellness and sustainability, from the farm to the table. The event was possible thanks to the ten outstanding partners and leaders in their categories including Zanussi Professional, which embodies a long Italian history of excellence and quality. 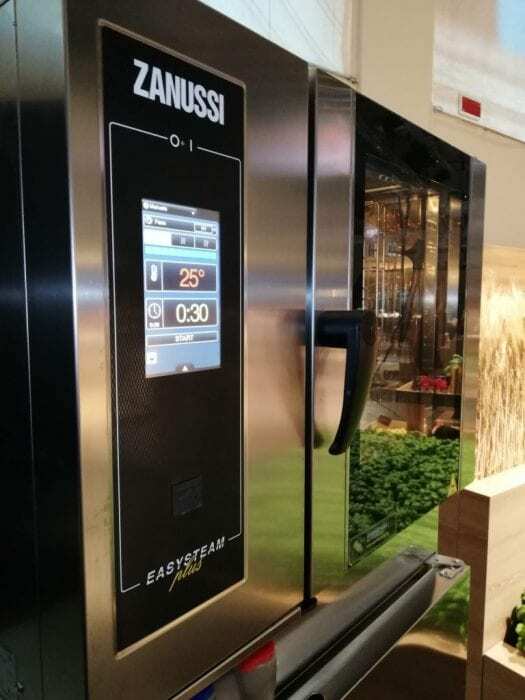 Zanussi Professional has contributed to Italian gastronomic development for over 100 years, providing restaurateurs with the best equipment to obtain excellent results. The Italian style that distinguishes the Zanussi brand is fundamental to be consider a partner of “Barilla Pasta World Championship 2018”. The culinary theme of this year, ‘Eat positive as Italians do’ is a motto of Italian gastronomy and culture of this beautiful country, which Barilla, like Zanussi, promotes every day.